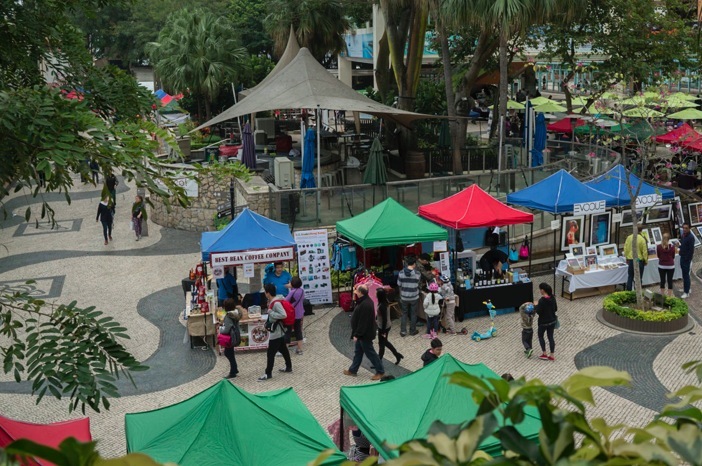 Sunday saw me going back to Discovery Bay for the first time in months… and I had a very good reason: I was exploring Handmade Hong Kong, a showcase and gathering place for independent artists and crafters. 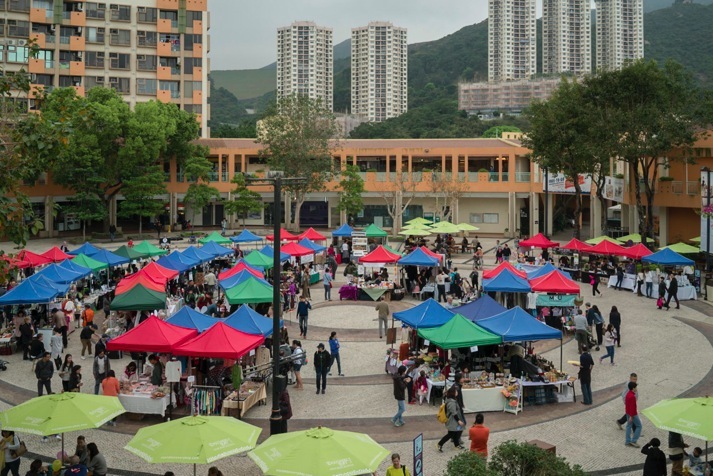 The focus is on local, independent vendors selling their handmade or self-designed wares – and these can include almost anything. In the past, I’ve seen handmade bags, soaps, lots of jewellery, home accessories (including comics, paintings and prints), stationary, craft paper, children’s clothes, coffee beans, dog biscuits, Belgian beer & chocolates and lots of other food items. 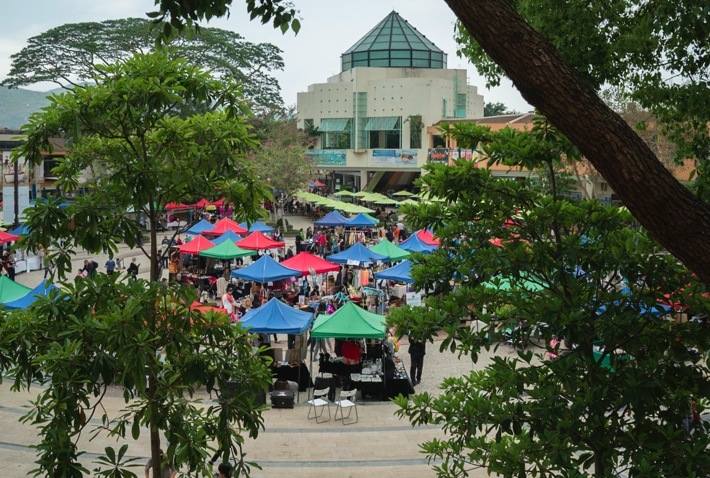 The first craft market took place in 2009, with only 15 vendors. 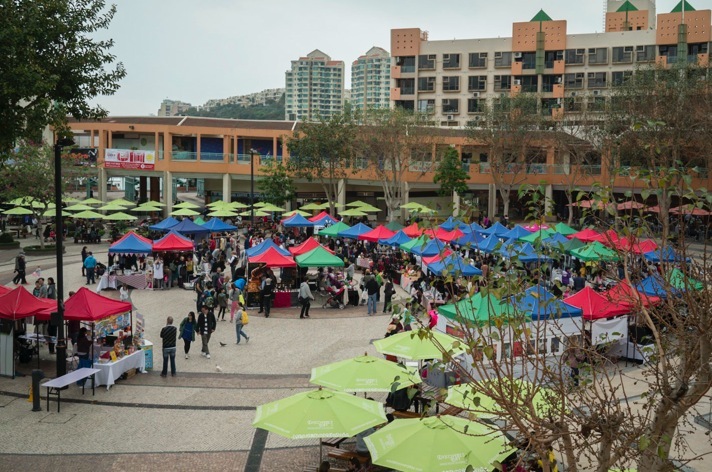 Today, Handmade Hong Kong in Discovery Bay runs monthly, hosting over 140 different vendors and drawing crowds of approximately 2,000 visitors – and on Sunday I was one of them! 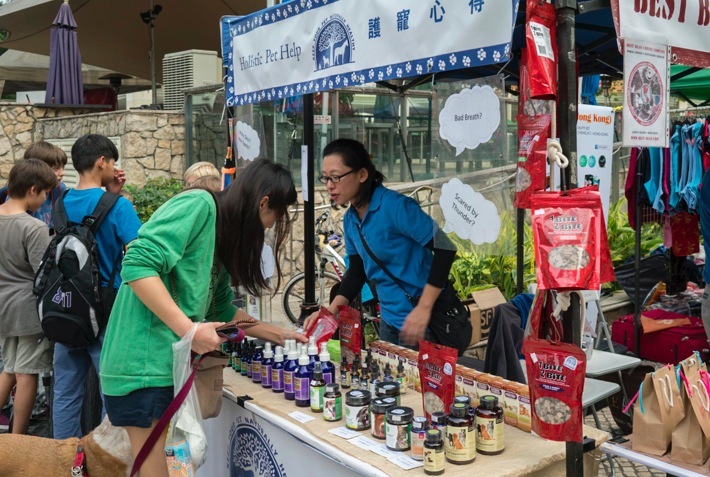 The market is set up at the DB Plaza and starts at 11am. I got there at 12 noon and it was still a bit quiet with some stalls just setting up. By the time I left at 3pm it was packed – all stalls were busy. 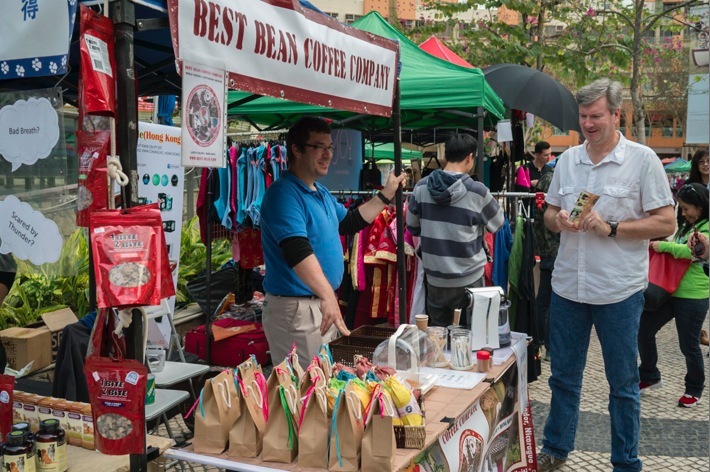 I guess the spell of good weather had helped, the days before it had been grey and foggy so people were keen to get out – and the wide range of different vendors helped! There were so many different ones this time – I can’t feature all of them. 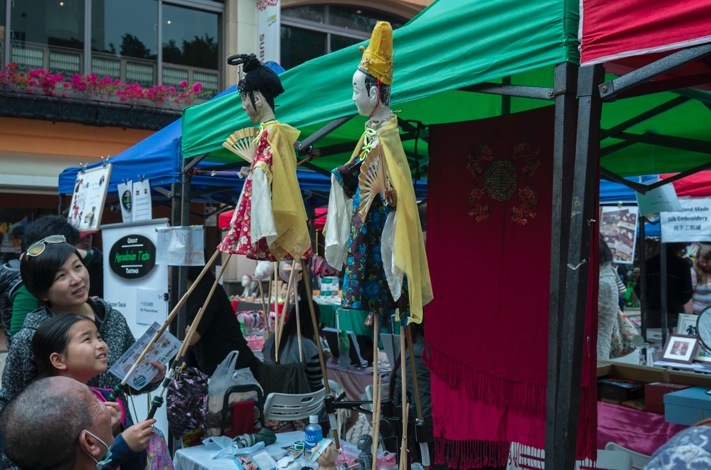 But here are some I liked very much… first up, this old man selling Chinese Puppets (stall 8b), which were popular with kids and adults alike. 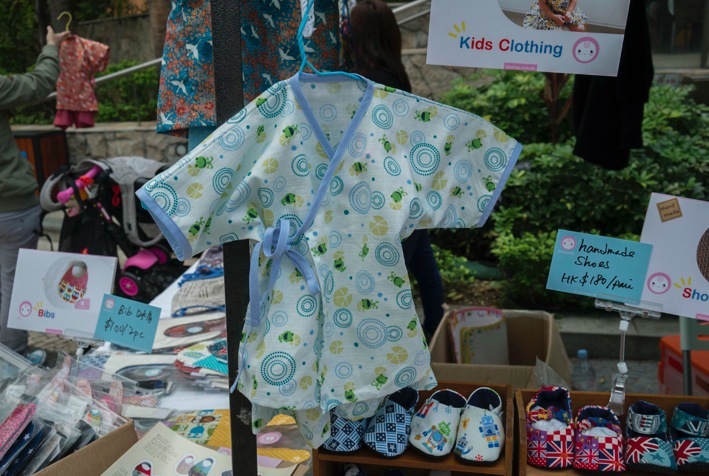 BBShop (stall 42) sells cute clothes, shoes and hair accessories – with beautiful design. 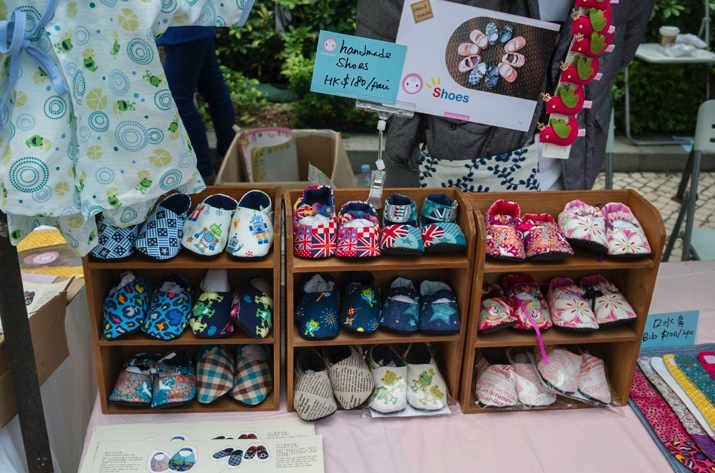 I love the Japanese crane textiles and was very tempted to purchase a pair of shoes for Lina, but I figured she is still too small and I better wait. 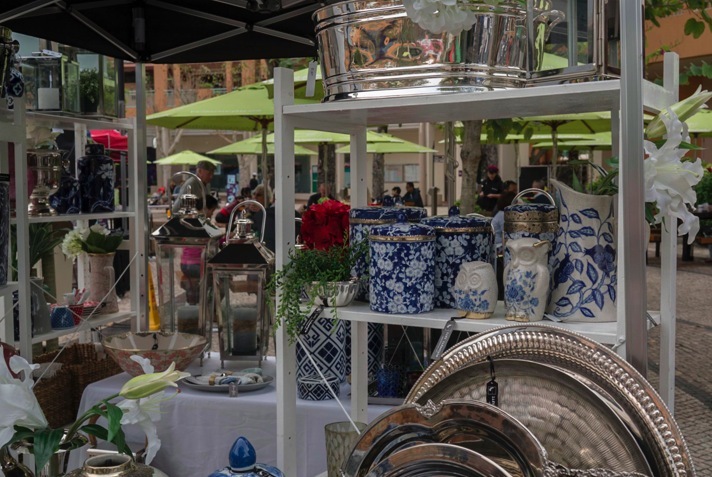 Lift Lifestyle (stall 43) sold beautiful accessories – I was really tempted in purchasing a silver champagne cooler or a blue vase before I realised both are not practical with a baby and a cat in a household. We won’t be drinking from a cooler and the vase will be in pieces before I know… but at least now I know where to purchase lovely gifts! 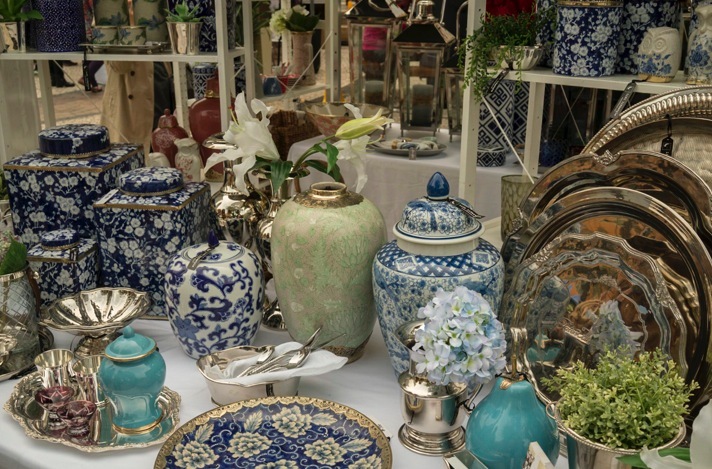 Hoa Sen / Charm of Vietnam (stall 82a) – first time I came across this booth and I fell in love with the beautiful ceramics from Vietnam! Plus I learnt that they offer Vietnamese cooking classes too – so once Lina is a little older, I’d be keen to sign up for one of those! Looks like a great fair, too bad I wasn’t there this time! Yes, I missed you – I had a look around but could not find you. Maybe see you next time?